More photos for the Hunter boots campaign soon!!! you look stunning! i love the red! Happy Birthday, you look lovely in red. Beautiful colors and beautiful photographs! super-cute pics!! :D u r so lovely! Hi! You’ve got a great blog here and I’m your follower. I’d love it so much if you could follow me back :) it’d be great to keep in touch! those boots and that coat, perfection! HBD! Happy birthday!! 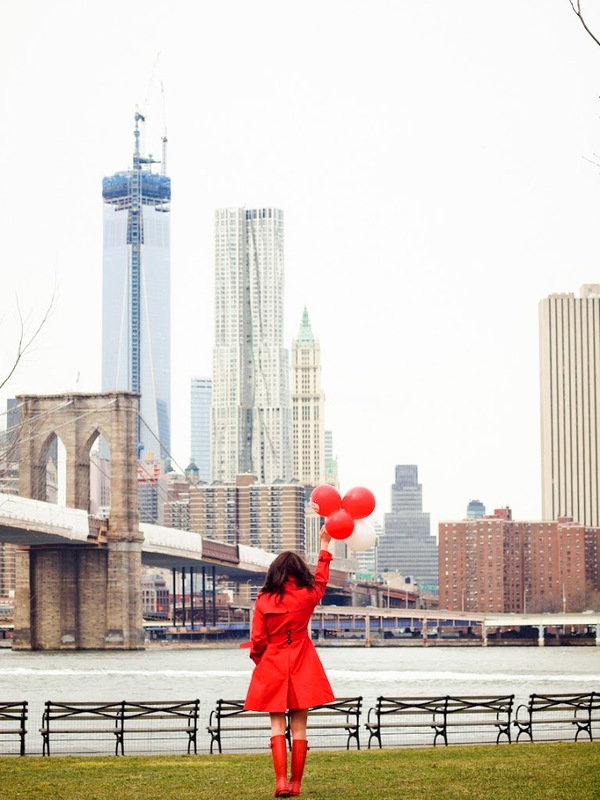 You look stunning in head to toe red! The outfit is amazing! Love the good total look! :) Red rules! I love this so, so much! 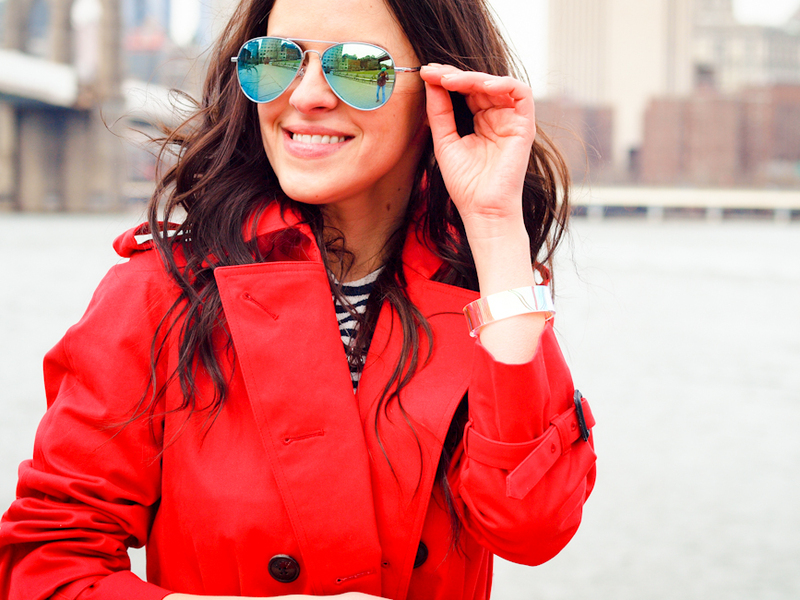 The red trench is amazing, and I love it with the striped shirt & mirrored aviators! Such a cute look! & happy belated birthday! great image! Red is never too much! Happy Birthday! Wooooahh ! What a colours ! Stunning lady in red;) Happy birthday once more dear Veronica! I’m looking forward to see more pics of you on the Hunter boots website! Stunning lady in red! 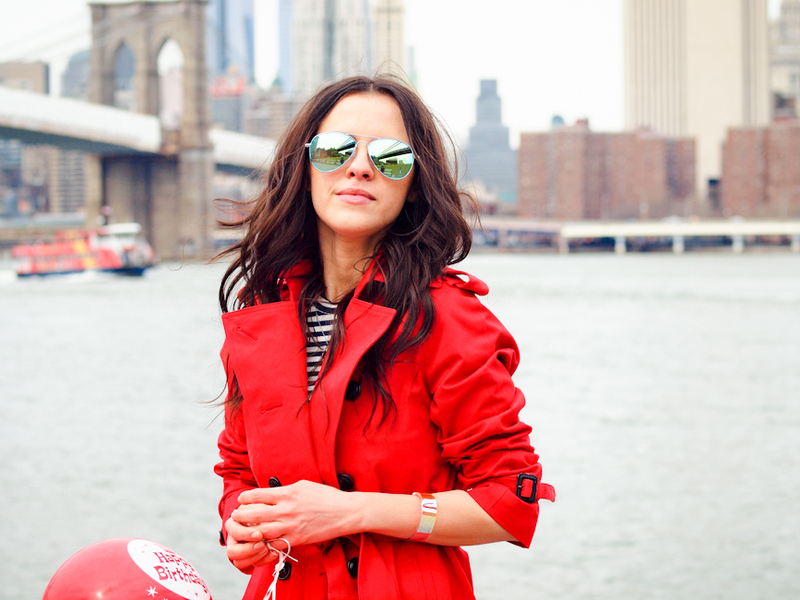 Happy birthday once more dear Veronica!I’m looking forward to more pics of you on the Hunter boots website! Happy Birthday Veronica you look absolutely adorable wearing your red Trench and matching Wellingtons, and I’m looking forward to more posts for Hunter. A very happy birthday to you and many happy returns, you are truly a STAR. SUCH a great look. So bold & dramatic. Just adore the trench and the styling is fabulous. Great look! LOOOOOVE it ! you look stunning as always ! happy birthday! beautiful pictures and nice oufit! Stunning outfit, bright and juicy! Happy late birthday, you look gorgeous!!!!! My dear Veronica I’ve already sent my wishes so what is left for me is to marvel at the dreamy photos you have taken and be happy for your heartfelt smile and true beauty! awesome pics! Love your hunter boots! Look at You! Super Fabulous in Red! Loved the outfit! So tell me from where do you buy designer clothes that makes your look out of this world..? I love this look, and I must say you look great in red! You look absolutely gorgeous. I love the whole outfit and the balloons a perfect touch. I may have to borrow one of the images for a blog post, if that is ok, of course linking back here. What gorgeous pics! Happy Birthday. omg you look absolutely bright and amazing in red! love the cute balloons! amazing, amazing, amazing! love this look! This is my favourite outfit from you. A total red look can never be boring! You look stunning!!! Happy birthday gorgeous! !